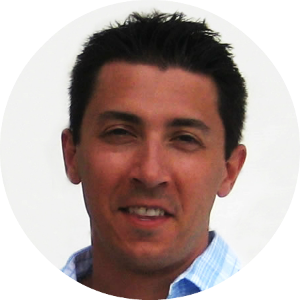 Michael Coletta has served in a variety of high-level roles in the travel industry and at digital agencies, driving results spanning technology, business development, monetization, marketing, product and design. He has grown revenues in multiples for corporations and startups alike. Mike has spent time as a travel entrepreneur, consultant, analyst, project manager, group organizer and held many related leadership roles, building hands-on experience and expertise in a variety of technologies and keeping his finger on the pulse of what’s next. Mike’s specialty is where technology, marketing, sales, and community meet. He was selected as one of the 35 members of the class of 2013 “Young Leaders under 35” executive development program by PhoCusWright, the leading travel, tourism and hospitality industry market research firm. Mike is currently the Managing Director of Travel Startups Incubator, which invests $50,000 in promising travel startups (cash+services). He advises startups in the portfolio, vets startups for inclusion in the incubator, and works with investors to raise funds. At Coletta Consulting LLC, Mike provides thought leadership and advice to travel industry research groups and startups relating to trends, technology, and innovation. Mike is the founder of Fantrotter, a metasearch engine that enables fans to find deals on tickets and travel arrangements for concerts, sports games and other events. He co-founded and is a partner at the award-winning travel website EuropeUpClose.com, which features the writing of dozens of European travel experts. He co-organizes the travel startup Meetup.com group Travel 2.0, which helps travel startup founders get feedback on their businesses at critical points in their growth while connecting and educating travel industry professionals. He has grown the group from 600 members to over 1,100 since taking the reins in 2012. He is deeply involved in the New York travel and startup scene and provides expertise and leadership via participation in many related related travel communities. Mike graduated from the Isenberg School of Management at UMass Amherst with a BBA in Finance and minor in Psychology, and spent a semester abroad in the Netherlands studying international business. He has traveled to close to 40 countries. He is a musician, playing bass for the alt-pop band Charm Face and acoustic-minded Hupson Street, and an avid sports and comedy fan. He often travels to see his favorite performers, such as Pearl Jam, which planted the seed for Fantrotter. He has been known to blog about his favorite food, the artichoke, at TheArtichokeAficionado.com. He is currently Managing Director at Travel Startups Incubator, which invests $50,000 in travel startups (cash+services). He advises startups in the portfolio, vets startups for inclusion in the incubator, and works with investors to raise funds.